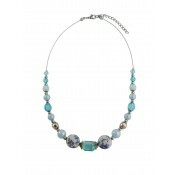 Bead and Blue Crystal Fashion A feminine design with nostalgic elegance. 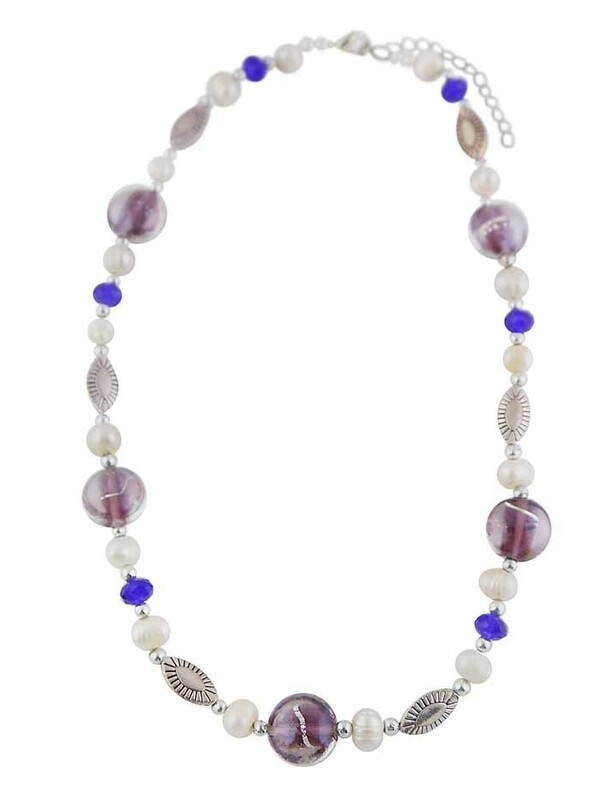 This unique necklace features blue, white and maroon beads delicately strung around your neck. Add a touch of vintage glamour to your collection.